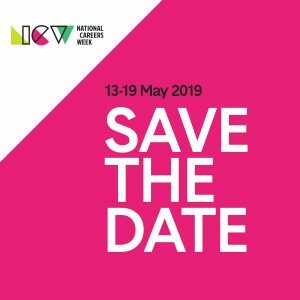 CICA is excited to announce that between 13-19 May 2019, Australians will once again come together to celebrate all things careers through National Careers Week. Visit the website, www.careersweek.com.au and sign up. This will ensure that you are kept up to date with everything about National Careers Week. Put the dates in your calendar and start planning an activity that you can run during National Careers Week. You will find resources on the website that will help you run an amazing event. National Careers Week is also on Facebook, Twitter, and LinkedIn. Links are provided on the NCW website as well at the footer of this email. We would encourage you to like and follow us on these pages for real-time updates and information. We will be holding National Careers Week events across Australia. Keep an eye on the NCW website and the social media pages for more information and how to register. We look forward to providing you updates and more resources as we lead up to National Careers Week 2019.